STUDENT WILL BE ABLE TO USE INTENSIFIERS LIKE REALLY, NOT VERY, VERY AND QUITE, AS WELL AS ADJECTIVES. There are two different activities: (1) matching exercise and (2) fill in the gaps. 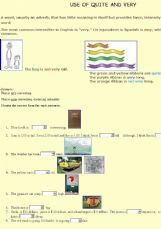 It is the online version of one of my printables. 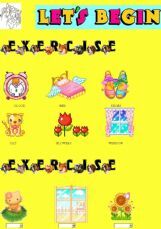 Exercises on essay parts, their functions and giving some parts in your words! I checked spelling once more and hope to have found all typing mistakes! 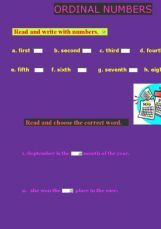 In this exercise the students will practice the ordinal numbers. 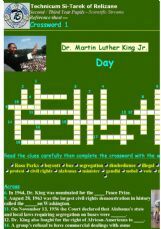 Remember this Great person and some of the important his deeds through this funny crossword.